M60 J3 take A34 South, Turn Left on A555 Turn Right at roundabout on to A5102 Turn Left at next roundabout on to A5149. In 2 miles at Poynton Roundabout's Turn Right on to A523 towards Macclesfield. In 400 yards at mini roundabout, Turn Left into Dickens Rd follow road for 1.5 mile, and Turn Left at T junction SignPost Wood Lane in 1/2m at sharp righthand bend go Straight ahead into Private Road. Follow road to Right over hump-back canal bridge Turn Left into marina. Site on Right after gate. Article from our newsletter "The Wittering Witch"
The Middlewood Way offers a 10-mile (16km) traffic-free route for walkers, cyclists and horse riders. It follows the line of the former Macclesfield, Bollington and Marple Railway through picturesque Cheshire countryside and between historic mill towns. For much of its length the Middlewood Way runs close to the Macclesfield Canal and there are many options for easy circular walks. In 1863 the towns of Marple, Bollington and Macclesfield were facing economic depression. Local dignitaries, in particular the cotton mill owners of Bollington, hoped that a new railway would improve their fortunes and presented a scheme to Parliament. The Macclesfield, Bollington and Marple Railway opened in 1869. The line carried cotton, silk, coal and passengers, but always struggled to make a profit. 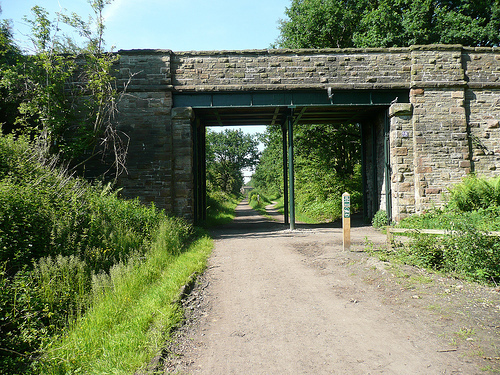 It was closed in 1970 and redeveloped for recreation as the Middlewood Way in 1985. Cyclists are asked to respect the rights of other users. Be aware that pedestrians may not hear you: use your bell and approach slowly. Where the Way is separated into two paths, we recommend using the wider path, which is shared with horse riders. Please give way to horses, to avoid startling them. The Macclesfield Canal was completed in 1831, very late for a canal - so late that it was almost a railway! Coal from Poynton, stone from Kerridge and hats from Stockport were some of the cargoes carried. The canal was threatened with closure in the 1950s. 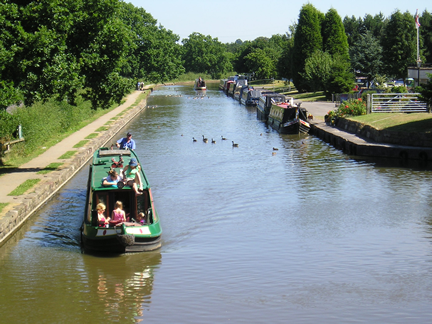 A campaign by pleasure boaters saved it and today the canal is a popular leisure destination. Cycling is not allowed on the canal towpath.